Canada Mortgage and Housing Corp. expects new construction to slow down next year as the market finally catches up to the reality that there are not enough people to live in the houses being built. “Housing construction is expected to decline slightly in 2016 and 2017 to levels more consistent with economic and demographic fundamentals, before stabilizing in 2018,” the Crown corporation, which advises the federal government on housing policy, said in a release. Nationally, CMHC expects housing starts to be in a slightly lower range than in 2015, between 185,100 and 192,900 units in 2016 and between 174,500 and 184,300 units in 2017. By 2018, the range is expect to stabilize at 172,700 to 183,100 units. In the existing home market, the Crown corporation says sales through the Multiple Listing Service will climb from 2015 levels, with the final tally for 2016 between 517,000 units and 533,400 units sold. By 2017, the demographic fundamentals will chip away at activity with the range dropping to 489,500 to 509,700. In 2018, that range will be 488,100 to 511,100 annual sales. Average prices will continue to increase, but not as rapidly. CMHC said the average home will sell for between $473,400 and $495,000 this year and climb to a range of $483,600 to $507,800 in 2017. The range will increase to $497,700 to $525,100 in 2018. “These ranges point to higher levels than the 2015 average price of $443,046, but represent a considerable deceleration in 2017 and 2018, as existing overvaluation in most major housing markets are resolved in an orderly manner,” CMHC said. 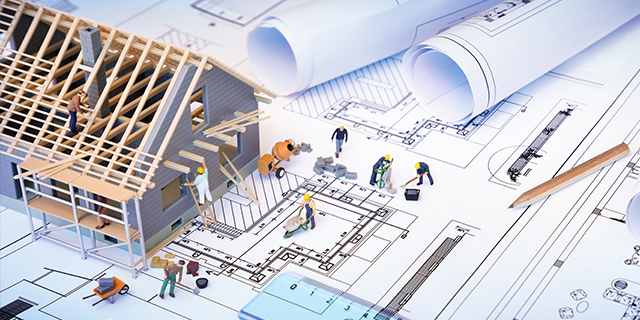 The single-detached home category, the focus of massive price increases in markets like Toronto and Vancouver, is not expected to get much relief from new construction and consumers are likely going to continue to look towards high-rise condominium purchases. In the second quarter of 2016, single-detached starts decreased at a quarterly rate of 11.9 per cent compared to the first quarter of 2016, based on seasonally adjusted data. The decrease followed four consecutive quarters of growth, but there has been an overall downward trend since 2009. “As inventories of new and unsold single-detached homes remain historically low, especially in some of the major housing markets in Canada, homebuyers will continue to shift demand from higher priced single-detached homes to lower-priced alternatives in multi-unit buildings,” said the Crown corporation in its report. The report was released on the same day as CMHC’s housing market assessment, which shows the country as a whole exhibiting strong evidence of problematic conditions, which the Crown corporation attributed to overvaluation and price acceleration. “We now see strong evidence of problematic conditions overall nationally. This is fuelled by overvaluation — meaning house prices remain higher than the level of personal disposable income, population growth and other fundamentals would support. This overvaluation coupled with evidence of overbuilding in some centres means that growth in house prices will slow and housing starts are expected to moderate in 2017 and 2018,” said Bob Dugan, chief economist with CMHC.